The block-matching motion estimation has been aggressively developed for years. Many papers have presented fast block-matching algorithms (FBMAs) for the reduction of computation complexity. Nevertheless, their results, in terms of video quality and bitrate, are rather content-varying. Very few FBMAs can result in stationary or quasistationary video quality for different motion types of video content. Instead of using multiple search algorithms, this paper proposes a quality-stationary motion estimation with a unified search mechanism. This paper presents a content-motion-aware motion estimation for quality-stationary video coding. Under the rate control mechanism, the proposed motion estimation, based on subsample approach, adaptively adjusts the subsample ratio with the motion-level of video sequence to keep the degradation of video quality low. The proposed approach is a companion for all kinds of FBMAs in H.264/AVC. As shown in experimental results, the proposed approach can produce stationary quality. Comparing with the full-search block-matching algorithm, the quality degradation is less than 0.36 dB while the average saving of power consumption is 69.6%. When applying the proposed approach for the fast motion estimation (FME) algorithm in H.264/AVC JM reference software, the proposed approach can save 62.2% of the power consumption while the quality degradation is less than 0.27 dB. Motion Estimation (ME) has been proven to be effective to exploit the temporal redundancy of video sequences and, therefore, becomes a key component of multimedia standards, such as MPEG standards and H.26X [1–7]. The most popular algorithm for the VLSI implementation of motion estimation is the block-based full search algorithm [8–11]. The block-based full search algorithm has high degree of modularity and requires low control overhead. However, the full search algorithm notoriously needs high computation load and large memory size [12–14]. The highly computational cost has become a major problem on the implementation of motion estimation. To reduce the computational complexity of the full-search block-matching (FSBM) algorithm, researchers have proposed various fast algorithms. They either reduce search steps [12, 15–22] or simplify calculations of error criterion [8, 23–25]. Some researchers combined both step-reduction and criterion-simplifying to significantly reduce computational load with little degradation. By combining step-reduction and criterion-simplifying, some researchers proposed two-phase algorithms to balance the performance between complexity and quality [26–28]. These fast algorithms have been shown that they can significantly reduce the computational load while the average quality degradation is little. However, a real video sequence may have different types of content, such as slow-motion, moderate-motion, and fast-motion, and little quality degradation in average does not imply the quality is acceptable all the time. The fast block-matching algorithms (FBMAs) mentioned above are all independent of the motion type of video content, and their quality degradation may considerably vary within a real video sequence. Few papers present quality-stationary motion estimation algorithms for video sequences with mixed fast-motion, moderate-motion, and slow-motion content. Huang et al. propose an adaptive, multiple-search-pattern FBMA, called the A-TDB algorithm, to solve the content-dependent problem. Motivated by the characteristics of three-step search (TSS), diamond search (DS), and block-based gradient descent search (BBGDS), the A-TDB algorithm dynamically switches search patterns according to the motion type of video content. Ng et al. propose an adaptive search patterns switching (SPS) algorithm by using an efficient motion content classifier based on error descent rate (EDR) to reduce the complexity of the classification process of the A-TDB algorithm. Other multiple search algorithms have been proposed [31, 32]. They showed that using multiple search patterns in ME can outperform stand-alone ME techniques. Instead of using multiple search algorithms, this paper intends to propose a quality-stationary motion estimation with a unified search mechanism. The quality-stationary motion estimation can appropriately adjust the computational load to deliver stationary video quality for a given bitrate. Herein, we used the subsample or pixel-decimation approach for the motion-vector (MV) search. The use of subsample approach is two-folded. 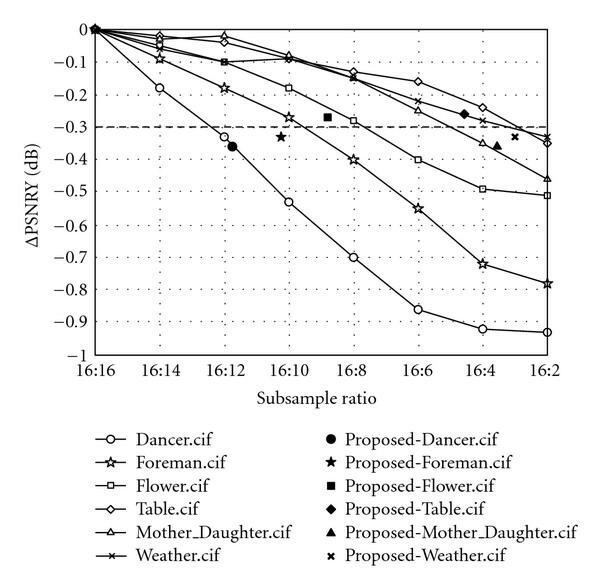 First, the subsample approach can be applied for all kinds of FBMAs and provide high degree of flexibility for adaptively adjusting the computational load. Secondly, the subsample approach is feasible and scalable for either hardware or software implementation. The proposed approach is not limited for FSBM, but valid for all kinds of FBMAs. The proposed approach is a companion for all kinds of FBMAs in H.264/AVC. Articles in [33–38] present the subsample approaches for motion estimation. The subsample approaches are used to reduce the computational cost of the block-matching criterion evaluation. Because the subsample approaches always desolate some pixels, the accuracy of the estimated MVs becomes the key issue to be solved. As per the fundamental of sampling, downsampling a signal may result in aliasing problem. The narrower the bandwidth of the signal, the lower the sampling frequency without aliasing problem will be. 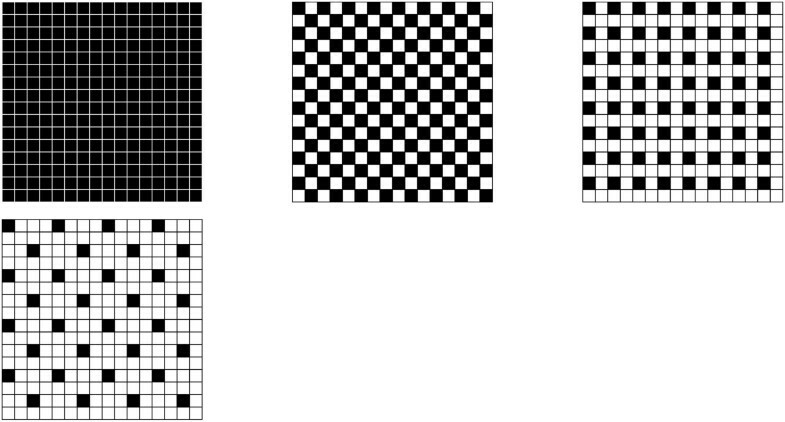 The published papers [33–38] mainly focus on the subsample pattern based on the intraframe high-frequency pixels (i.e., edges). Instead of considering spatial frequency bandwidth, to be aware of the content motion, we determine the subsample ratio by temporal bandwidth. Applying high subsample ratio for slow motion blocks would not reduce the accuracy for slow motion or result in large amount of prediction residual. Note that the amount of prediction residual is a good measure of the compressibility. Under a fixed bit-rate constraint, the compressibility affects the compression quality. Our algorithm can adaptively adjust the subsample ratio with the motion-level of video sequence. When the interframe variation becomes high, we consider the motion-level of interframe as the fast-motion and apply low subsample ratio for motion estimation. When the interframe variation becomes low, we apply high subsample ratio for motion estimation. Given the acceptable quality in terms of PSNR and bitrate, we successfully develop an adaptive motion estimation algorithm with variable subsample ratios. The proposed algorithm is awared of the motion-level of content and adaptively select the subsample ratio for each group of picture (GOP). Figure 1 shows the application of proposed algorithm. The scalable fast ME is an adjustable motion estimation whose subsampling ratio can be tuned by the motion-level detection. The dash-lined region is the proposed motion estimation algorithm and the proposed algorithm switches the subsample ratios according to the zero motion vector count (ZMVC). The higher the ZMVC, the higher the subsample ratio. As the result of applying the algorithm for H.264/AVC applications, the proposed algorithm can produce stationary quality at the PSNR of 0.36 dB for a given bitrate while saving about 69.6% power consumption for FSBM, and the PSNR of 0.27 dB and 62.2% power-saving for FBMA. The rest of the paper is organized as follows. In Section 2, we introduce the generic subsample algorithm in detail. Section 3 describes the high-frequency aliasing problem in the subsample algorithm. Section 4 describes the proposed algorithm. Section 5 shows the experimental performance of the proposed algorithm in H.264 software model. Finally, Section 6 concludes our contribution and merits of this work. The proposed system diagram for H. 264/AVC encoder. (a) 16 : 16 subsample pattern, (b) 16 : 8 subsample pattern, (c) 16 : 4 subsample pattern and (d) 16 : 2 subsample pattern. According to sampling theory , the decrease of sampling frequency will result in aliasing problem for high-frequency band. On the other hand, when the bandwidth of signal is narrow, higher downsample ratio or lower sampling frequency is allowed without aliasing problem. When applying the generic subsample algorithm for video compression, for high-variation sequences, the aliasing problem occurs and leads to considerable quality degradation because the high-frequency band is messed up. Papers [42, 43] hence propose adaptive subsample algorithms to solve the problem. They employed the variable subsample pattern for spatial high-frequency band, that is, edge pixels. However, the motion estimation is used for interframe prediction and temporal high-frequency band should be mainly treated carefully. 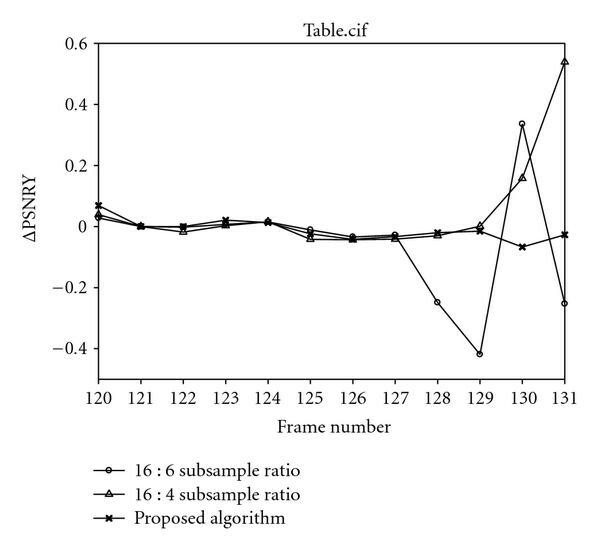 Therefore, we determine the subsample ratio by the interframe variation. The interframe variation can be characterized by the motion-level of content. The ZMVC is a good sign for the motion-level detection because it is feasible for measurement and requires low computation load. The high ZMVC means that the interframe variation is low and vice versa. Hence, we can set high subsample ratio for high ZMVCs and low subsample ratio for low ZMVCs. Doing so, the aliasing problem can be alleviated and the quality can be frozen within an acceptable range. The diagram of Q with 16 : 8, 16 : 4, 16 : 2 subsample ratios for table sequence. 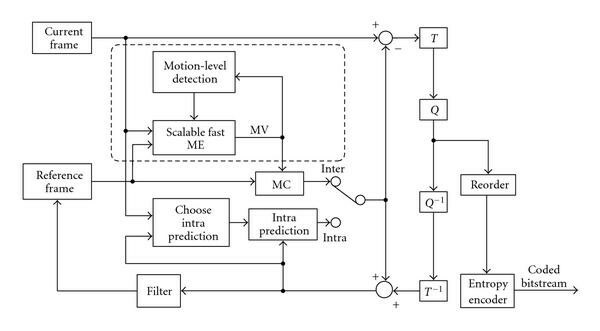 To efficiently alleviate the high-frequency aliasing problem and maintain the visual quality for video sequences with variable motion levels, we propose an adaptive motion estimation algorithm with variable subsample ratios, called the Variable Subsampling Motion Estimation (VSME). The proposed algorithm determines the suitable subsample ratio for each GOP based on the ZMVC. The algorithm can be applied for FSBM algorithm and all other FBMAs. The ZMVC is a feasible measurement for indicating the motion-level of video. The higher the ZMVC, the lower the motion-level. Figure 4 shows the ZMVC of first P-frame in each GOP for table sequence. From Figures 3 and 4, we can see that when the ZMVC is high the for the subsample ratio of 16 : 2 is little. Since the tenth GOP is the scene-changing segment, all subsampling algorithms will fail to maintain the quality. Between the third and seventh GOPs, becomes high and the ZMVC is relatively low. 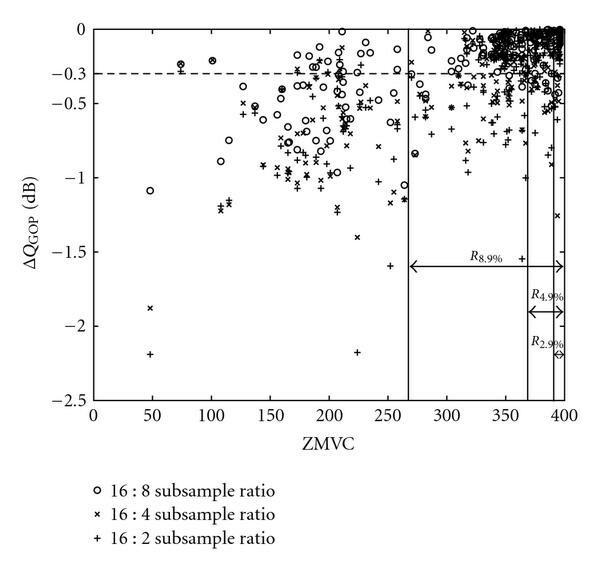 Thus, this paper uses the ZMVC as a reference to determine the suitable subsample ratio. The ZMVC of each GOP for table sequence. In the proposed algorithm, we determine the subsample ratio at the beginning of each GOP because the ZMVC of the first interframe prediction is the most accurate. The reference frame in the first interframe prediction is a reconstructed I-frame but others are not for each GOP. Only the reconstructed I-frame does not incur the influence resulted from the quality degradation of the inaccurate interframe prediction. That is, we only calculate the ZMVC of the first P-frame for the subsample ratio selection to efficiently save the computational load of ZMVC. Note that the ZMVC of the first P-frame is calculated by using 16 : 16 subsample ratio. Given the ZMVC of the first P-frame, the motion-level is determined by comparing the ZMVC with preestimated threshold values. The threshold values is decided statistically using popular video clips. To set the threshold values for motion-level detection, we first built up the statistical distribution of versus ZMVC for video sequences with subsample ratios of 16 : 2, 16 : 4, 16 : 8, and 16 : 16. Figure 5 illustrates the distribution. Then, we calculated the coverage of given PSNR degradation . In the video coding community, 0.5 dB is empirically considered a threshold below which the perceptual quality difference cannot be perceived by subjects. The quality degradation of greater than 0.5 dB is sensible for human perception . To keep the degradation of video quality low for the quality-stationary video coding, a strict threshold of smaller than 0.5 dB is assigned to be a aimed without the sensible quality degradation. Therefore, in this paper, the aimed is 0.3 dB. We use the coverage range to set the threshold values for motion-level detection. The motion-level detection will further determine the subsample ratio. The range indicates the covered range of ZMVC, where is the percentage of GOPs whose is less than 0.3 dB for subsample ratio of . Given the parameters and , we can set threshold values as shown in Table 1. Threshold setting for different conditions under the 0.3  of visual quality degradation. The statistical distribution of GOP versus ZMVC. where the frame size is , and and denote the Y components of original frame and reconstructed frame at . The quality degradation PSNRY is the PSNRY difference between the proposed algorithm and FSBM algorithm with 16-to-16 subsample ratio. 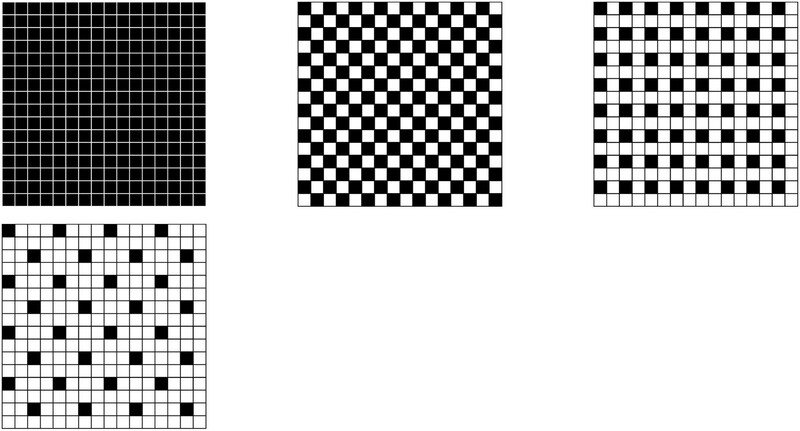 Table 3 shows the simulation results of PSNRY for these tested video sequences with different set of threshold values. From Table 3, the set of threshold values with can satisfy all tested video sequences under the average quality degradation of 0.3 dB; however, the overall average subsample ratios shown in Table 4 are lower than the others. The lower the subsample ratio, the higher the computational power will be. The uses of the set of threshold values of and also result in the quality degradations less than 0.36 dB which is close to the 0.3 dB goal. To achieve the goal of the quality degradation under the low computational power, the set of threshold values with is favored in this paper. As shown in Table 4, the use of the set of threshold values of results in the quality degradations less than 0.36 dB which is close to the 0.3 dB goal while the power consumption reduction is 69.6% comparing with FSBM without downsampling. Analysis of quality degradation using three adaptive subsample rate decisions. 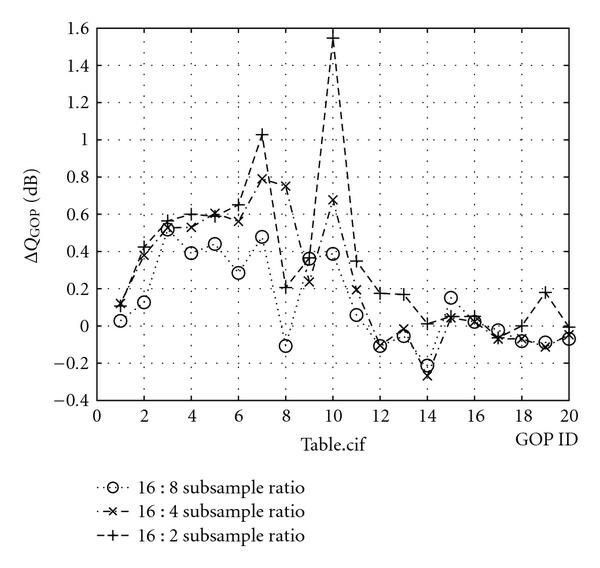 Analysis of average subsample ratio using three adaptive subsample rate decisions. Performance analysis of speedup ratio. The quality degradation chart of FSBM with fixed subsample ratios and proposed algorithm. 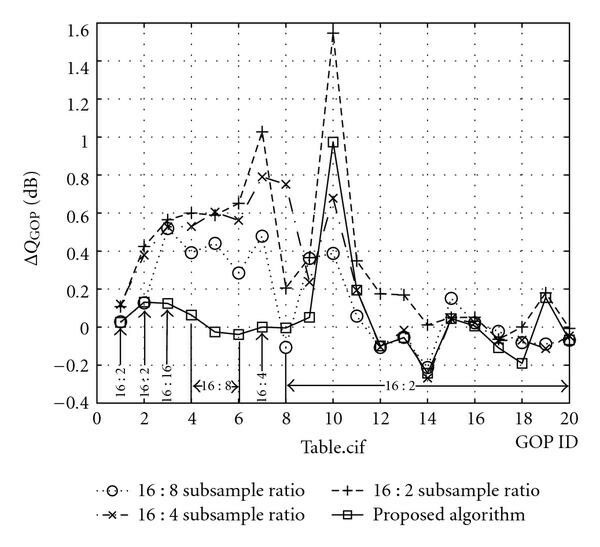 The dynamic quality degradation of the clip "Table" with fixed subsample ratios and proposed algorithm. The dynamic variation of FSBM quality degradation with fixed subsample ratios and proposed algorithm. The foregoing simulations are implemented using FSBM algorithm in JM10.2 software. Next, the fast motion estimation (FME) algorithm in JM10.2 software is chosen to combine with the proposed algorithm and implement simulations mentioned above again. Table 7 shows results of PSNRY between the proposed algorithm and generic algorithm. Figure 10 shows the distribution diagram of PSNRY versus subsample ratio based on Table 7 and shows that all tested sequences can satisfy to maintain the visual quality degradation under constraint of 0.3 dB. 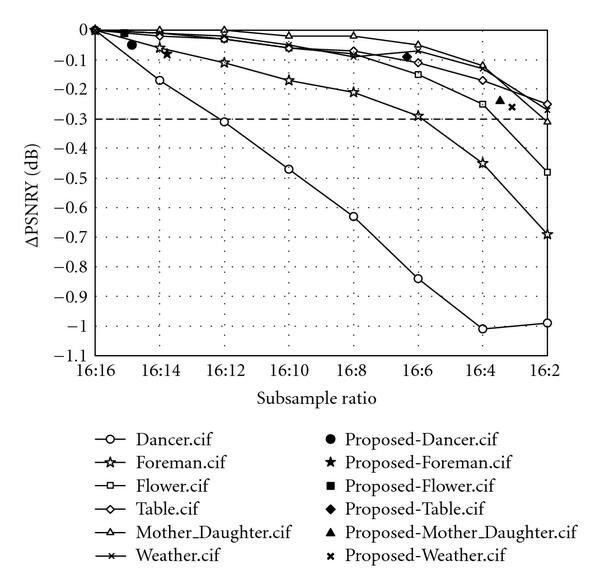 For fast motion sequences, "Dancer," "Foreman," and "Flower," the proposed algorithm can adaptively select low subsample ratio based on their high degree of high-frequency characteristic and visual quality degradation is 0.08 dB at most. Other video sequences are distributed among 16 : 4 and 16 : 2 subsample because low degree of high frequency. 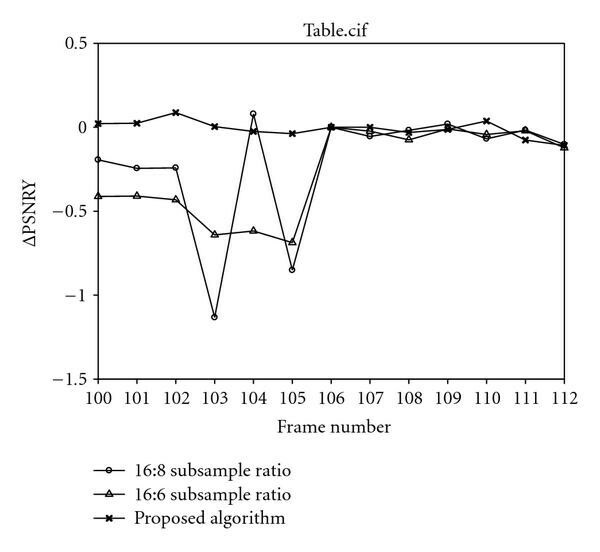 Figure 11 shows the PSNR value of each frame for "Table" sequence and the PSNRY results of the proposed algorithm is also very close to the PSNRY results of fixed 16 : 16 subsample ratio. 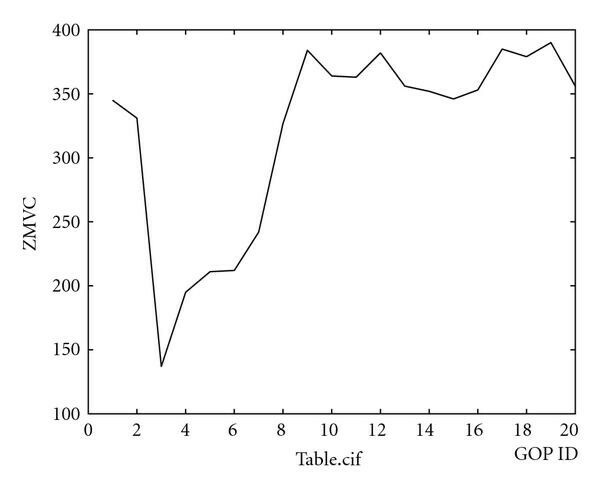 Finally, the results of speedup ratio is shown in Table 8. From Table 8, the speedup ratio can efficiently achieve between 1.056 and 5.428 and operation timing of motion estimation can be more less than FSBM because of less search points. The average speedup ratio is 2.64. Therefore, FME algorithm which combines with the proposed algorithm is a better methodology of motion estimation in H.264/AVC under maintaining the stable visual quality and power-saving for all video sequences. The quality degradation chart of FME with fixed subsample ratios and proposed algorithm. The dynamic variation of FME quality degradation with fixed subsample ratios and proposed algorithm. In this paper, we present a quality-stationary ME that is aware of content motion. By setting the subsample ratio according to the motion-level, the proposed algorithm can have the quality degradation low all over the video frames and require low computation load. As shown in the experimental results, with the optimal threshold values, the algorithm can make the quality degradation less than 0.36 dB while saving 69.6% ( )) power consumption for FSBM. For the application of FBMA, the quality is stationary with the degradation of 0.27 dB and the power consumption is reduced by the factor of 62.2% ( )). The estimation of power consumption reduction is referred to the average subsampling ratio in that the power consumption should be proportional to the subsampling amount. The higher the subsampling amount, the more the power consumption. One can also adjust the size of search range or calculation precision for achieving the quality-stationary. However, either approach cannot have high degree of flexibility for hardware implementation. This work was supported in part by the National Science Council, R.O.C., under the grant number NSC 95-2221-E-009-337-MY3.